ItemG-00898 - SS Benlawers forward deck after a storm. ItemA-00013 - The SS Beaver in Victoria Harbour on Cook's Ways. ItemA-00008 - SS Beaver in Upper Harbour in Victoria. ItemA-00009 - The SS Beaver in Burrard Inlet, Vancouver. ItemA-01037 - The wreck of the SS Beaver at Prospect Point, Vancouver; see also A-01038. ItemA-00017 - Wreck of the SS Beaver at Prospect Point in Stanley Park in Vancouver; Royal Mail steamer Empress of India off Observation Point. ItemA-00035 - "Coquet" in Victoria Harbour. 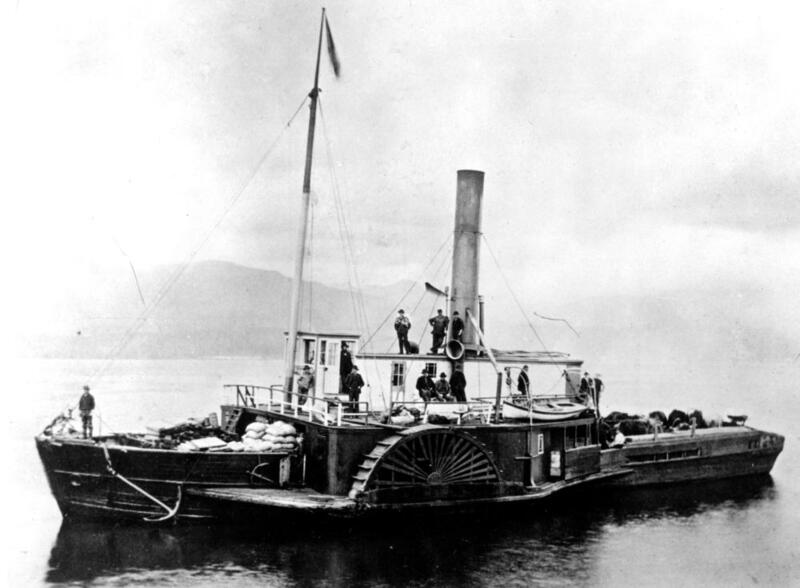 Item A-00009 - The SS Beaver in Burrard Inlet, Vancouver.